Summer camp is, presumably, a load of fun. I wouldn't know, I never went to one as a child. Yeah, I was one of those kids. My parents gave me a library card, threw some food my way occasionally and left me to my own devices during the summer. I was a big fan of summer as a child. No school kids bullying me? Unending sunlight and time that seemed to slow down to a crawl? Mountains of books to blow through, laying out on a blanket in the yard? Sign me up for that! Now, as an adult, I know summer to be a miserable time of abject misery but I still can enjoy the single best part about it. I love stars. They're beautiful, almost magical. They should get more appreciation. That's where you come in. It's time to tear yourself away from the warm, comforting glow of your laptop screen, slap on some bug spray and go outside to see some stars! Now is the perfect time to get out there and watch some giant balls of gas. 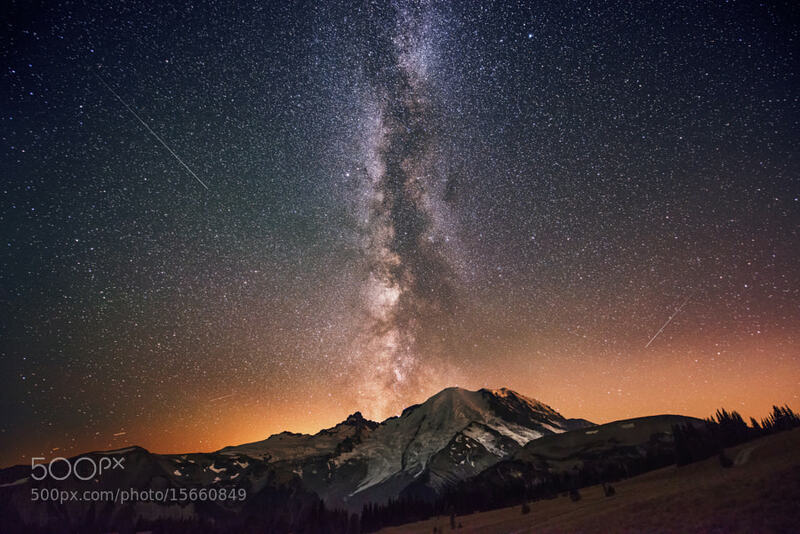 The Perseids meteor shower, the most flashy and prolific of all meteor showers, is happening right now! You know how I just said to tear yourself away from technology? Haha, just kidding! Technology is one of the best things we have to help us stargaze! Grab your smartphone or your tablet and download one of the hundreds of stargazing apps out there. They are surprisingly useful. My personal favorite in the Apple marketplace is called Skyview. There's a free edition, though the full one is only $1.99 so you won't be breaking the bank. It's a beautiful app. It shows where all the stars, planets, constellations and bits of tech (Hubble! ISS!) are in the sky, relative to you. Fire the app up, tilt it heavenward and watch as the stars mirror what is exactly above you. Now you'll ACTUALLY know which group is the Big Dipper because if you're anything like me, you've been wrong for years. Light pollution is a thing. You may be okay in the suburbs, but if you're reading this article from your postage stamp apartment in Manhattan, you are out of luck. For optimal stargazing you want to get as far away from lights as possible. This may involve camping. It may involve a drive to a more isolated part of town. You can still see a lot from your backyard, but it will be twice as spectacular in the middle of nowhere where you can commune with nature and the uncomfortable hood of your car. The weather report is also your friend. You won't see much when the moon is fuller, so check where the moon phase currently is. Get comfy. It can take anywhere from ten to forty minutes for your eyes to adjust to the darkness outside. Drag out a blanket and some pillows and make yourself comfortable. Bring snacks. Make a party out of it. This is you and nature. Nature digs smores. If you find you're still having trouble seeing the stars, try using your peripheral vision. Don't look directly at them but instead glance at them out of the corner of your eye. Surprisingly enough, your peripheral vision is more attuned to light and dark so you may have a better chance seeing the stars than if you were looking right at them. Prepare to be eaten alive. Summer is the perfect time to go outside, chill out and allow the most hellish of insect hoards to descend and devour you. Going outside means you immediately become prey to mosquitoes. It's all fun and games and gentle lightening bugs until you walk back inside and discover dozens of itchy raised welts. Bug spray is your friend. If you do manage to get bitten, try the Hot Spoon remedy. Take a metal spoon, run it under hot water for a few minutes, then press the bowl of the spoon directly on the bite. Hold it there for a minute or two and the itchiness will be gone. The heat in the spoon breaks up the enzyme that mosquitoes pump into your skin to stop blood clotting while the drink. This is what makes you itch and wish you were dead. Applying this (admittedly crazy) remedy will make the itchiness and the welt disappear. I use it on myself every summer and it works like a charm. Wilf knows the importance of stargazing. If nature and bugs and the outdoors aren't your thing (and I am right with you on that), look into taking a trip to your local planetarium. Planetariums are exceptionally awesome. Forget laser light shows and stoners listening to Pink Floyd, go and see a real show about planets and stars and our solar system. You'll learn a ton, it's most likely in air conditioning, and there is nothing more fascinating than space. Now you are ready to go out there and take in the beauty of the night sky. Who knows, maybe you might even spot a TARDIS! (Or, if you want to cultivate a very, very heavy fear of the stars and the universe in general, look at this gif that contains the size of stars and planets from smallest to biggest. VY Canis Majorius literally has me whimpering in my seat. My brain can not process things that are that big. It could destroy us. We need to be on high alert. I don't trust that star at all!